Trina Bonham is a State Certified Audiology Assistant. She joined the Oklahoma Hearing Center team in November, 2012. 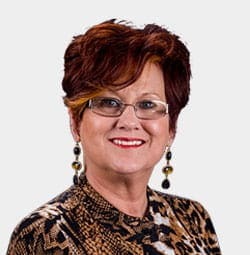 Her 40 years of retail customer service experience and hearing aid expertise make it possible for her to provide hearing aid patients with the best possible after care service, insuring that all her patient’s hearing needs are met from start to finish. In her free time, Trina enjoys spending time with her family, making arts and crafts and participating in genealogy research.